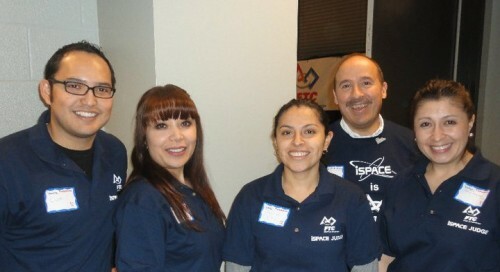 Several of SHPE Cincinati members volunteered as judges in the First Tech Robotics Competition that took part last Saturday, Feb. 19, 2011. 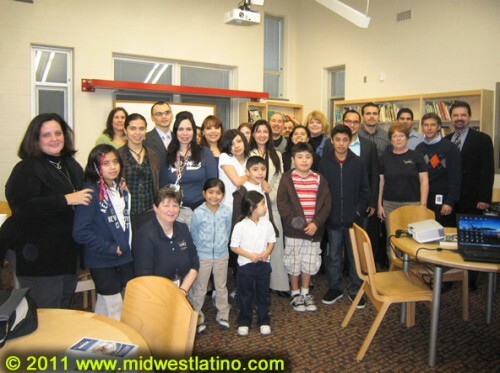 On Thursday, Feb. 17, our chapter had its second networking meeting, this time at AMIS (Academy of Multilingual Immersion Studies), which has a high number of Hispanic students. Representatives form iSPACE presented the Robotics programs that they organize, and which we would like to use as the base for our Robotics Club that we want to start at AMIS. Several kids from AMIS were able to learn more about the Robotics program and get excited about the possibilities. We hope that our SHPE Members will get involved in helping these kids in their STEM Journey. We would like to thank Maria Lang from AMIS for the hospitality, and iSPACE representatives for their insightful presentation, as well as representatives from UC, YMCA, and Lakota High School, who were able to join us. We hope to invite all our members soon to an official opening of the Robotics Club at AMIS! The SHPE Cincinnati Professional Chapter would like to invite you to our first in 2011 All Members Meeting on Thursday, Feb. 17th, 4:30 - 6 PM at AMIS (Academy of Multilingual Immersion Studies), located at 1908 Seymour Ave Cincinnati, Ohio 45237. We are very excited about the meeting and we hope, you'll join us. 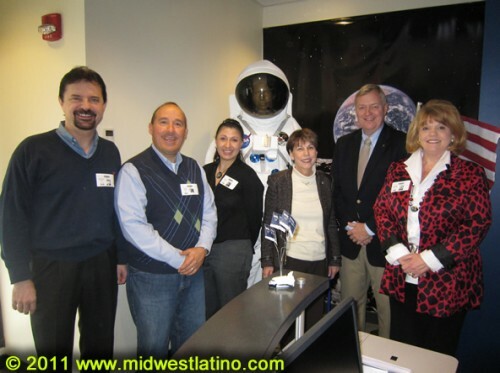 On Wednesday, Jan. 19th, 2011, three Board members: Maria King, Jorge Seda, and Michael Beck vistited iSPACE to discuss collaboration on starting Robotics Clubs in couple of local schools. Serving as a resource for the Greater Cincinnati/Tri-State region. iSPACE offers programs for students, educators and families which support and enhance science, technology, engineering and mathematics (STEM) education that reaches beyond the formal classroom setting. iSPACE programs spark curiosity and engage interest in the sciences as well as accommodate a wide spectrum of learning styles. iSPACE is a 501(C)(3) not-for-profit organization that has been serving the Greater Cincinnati area since 2001. We are looking forward to build a strong relationship with iSPACE and UC CECH so we can start early this year Robotics Clubs in local schools to promote STEM among Hispanic children in the Cincinnati area.